I suppose you think these vitamins are for my son. I do give him some when I feel he needs an extra boost for his immune system or he hasn't been eating well. But mainly, these vitamins are for ME! Notice that it mentions adults? That's right! There are plenty of other vitamins (A, B, E & more) and minerals (Zinc, Copper & more) and even Choline. I could take a daily pill to get my multi-vitamin. But I have always hated taking pills and have had many bad pill-taking experiences. I will conveniently forget to take pills unless I absolutely must take them for medical reasons. I can usually remember to chew up a Flinstones character every day at breakfast time. It's fun, so why not? If it gets me to take my vitamin daily, then I think it's a good thing! 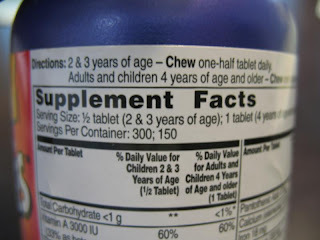 If you have trouble taking vitamins, give it a try! There are even gummy bear vitamins - do what works for you. 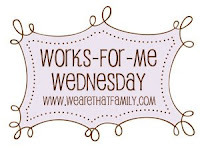 Stop by We Are THAT Family to see what's working for everybody else! Have a great day friends! When I was pregnant, the prenatal vitamins made me horribly sick. 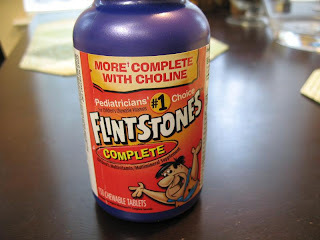 My OBGYN recommended I take Flinstones vitamins instead. So there you go! Doctor approved! Oh my friend you are so cute. I'm still trying to find a multivitamin that doesn't make me dizzy. I have a weird reaction to something in a multi! If it's got the Flintstones on it, then it's pretty cool in my books! Maybe I should try them too!